From the Homemade in Hatch article in the September 2016 issue. 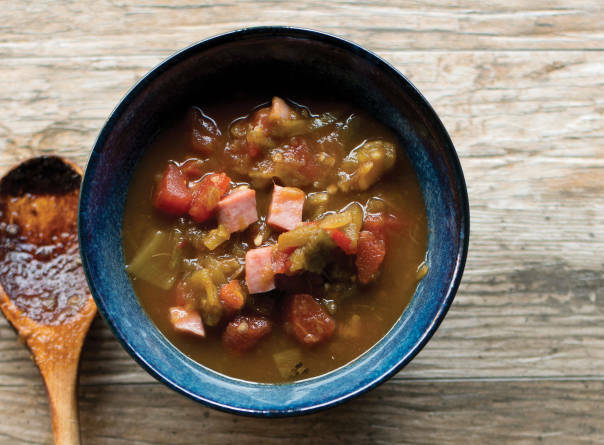 This recipe by Joe Franzoy—son of Joseph Franzoy, the first commercial chile farmer in the Hatch Valley—won first place in the 1988 Hatch Chile Festival. Sauté ham in the oil in a large saucepan. Add the rest of the ingredients, bring to a hard boil, and turn off. Serve as desired.